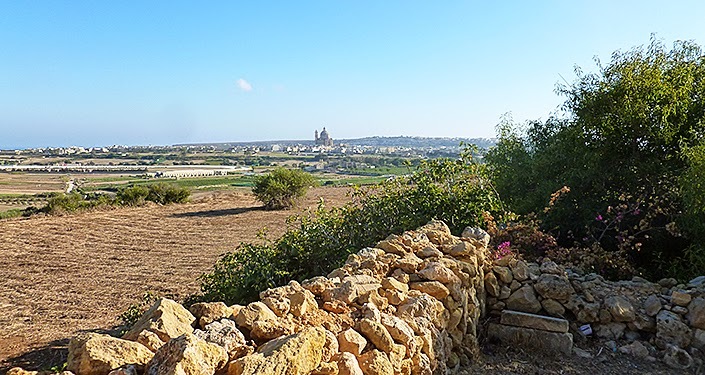 The island of Gozo, situated at the north of the maltese archipelago, is full of wonderful places. 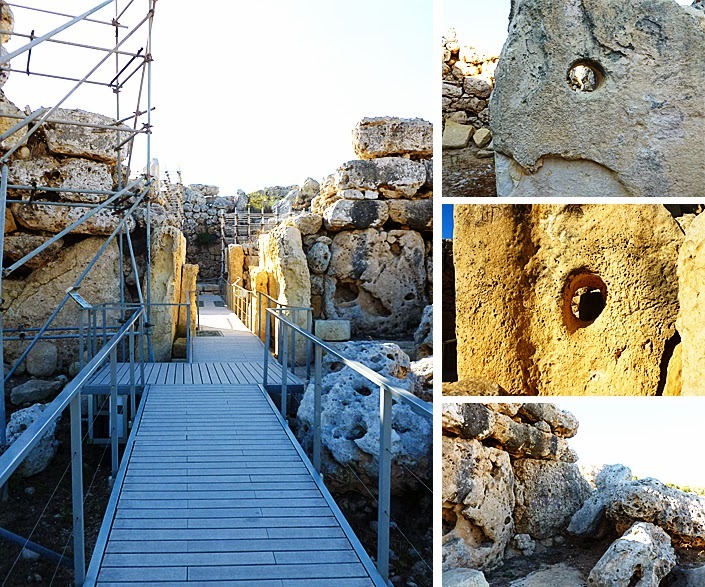 The two megalithic temples of Ggantija, listed on the UNESCO World Heritage List, are one of those. These 5600 year-old ruins are among the oldest known to this day. They are older than the Pyramids of Egypt, or even Stonehenge. I discovered these temples for the first time last July, with my mum who had came from France to visit me. Ggantija derives from “ggant”, which means “giant” in maltese. We could translate this name by “the tower of Giants”. Indeed, according to the popular belief, the stones which make these two temples were erected by a giant civilisation. This is understandable, because some of them are impressive : the biggest one discovered measures more than 5 meters over 3, for an estimated weight of 50 tonnes. It’s hard to conceive that humans, who were still prehistoric men, have managed to move such stones ! The site is relatively big (50 meters over 35) and is composed of two temples situated next to each other. The first (and oldest) one, the southerly temple, seems to have had a crucial importance during religious rites. You can indeed find two sculpted altars inside, which are placed on several steps. In the second one, the northern temple, you can discover several nests, in which many pottery fragments and animal bones have been found. They were probably used for religious sacrifices. A high quantity of ashes has also been discovered on the site, which let us think that fire was often used during the cult. 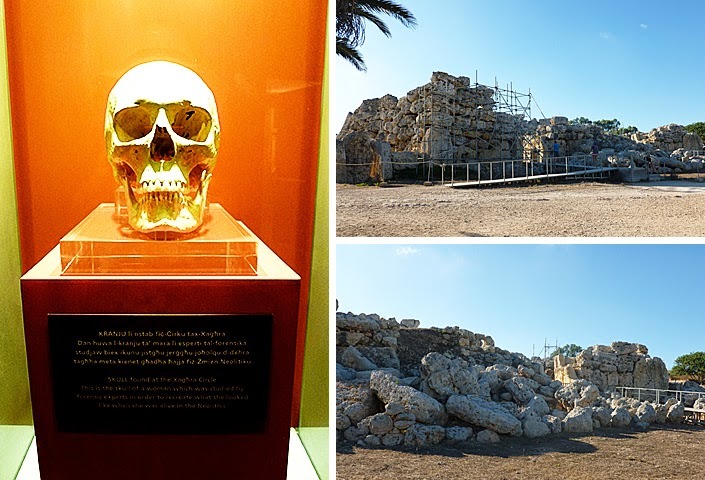 Some human bones have also been found in the Ggantija Temples. Thanks to them, the archaeologists have been able to get a quite precise idea of what the inhabitants of Gozo looked like at this time, and what they were eating. The Ggantija museum, that you will have to visit if you want to see the temples, shows several representations of these men. 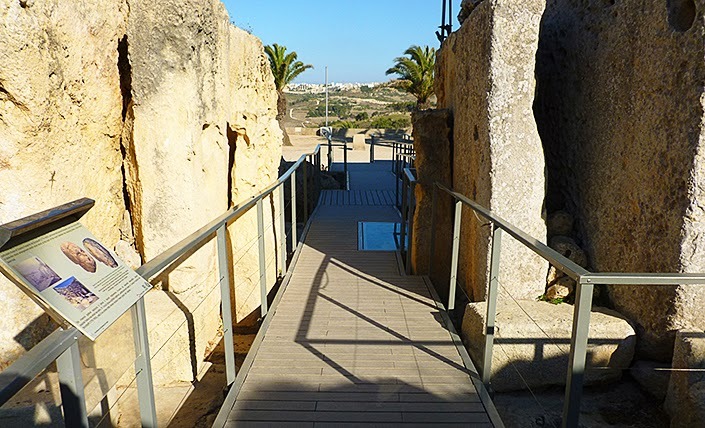 The temples are situated in Xaghra (pronounce “shara”), a city which offers an unobstructed view of Gozo. This location is strategic : it was (and still is) easy to grow food and to raise cattle in the surrounding plains. Before walking in the middle of the Ggantija temples, you will have to visit the small museum dedicated to the site. You will learn much more about the legend of these ruins, about the rituals practiced by the men at this time, or about the structure of the temples. You will also be able to see some pottery fragments, some sculptures or some bones rest. Winter schedule (from the 1st of October to the 31st of Mars) : monday to sunday, from 9 am to 5 pm (last admission at 4:30 pm). Summer schedule (from the 1st of April to the 30th of September) : monday to sunday, from 8 am to 7:15 pm (last entry at 6:45 pm). There is an entrance fee : 9€ for an adult, 7€ for a teenager, a student or a senior, and 5€ for a child (between 6 and 11 y.o.). However, if you visit the temples between 4:30 pm and 6:45 pm, the fees will respectively be 6€, 4,50€ and 3€. An interesting price, for a worthwhile discovery !